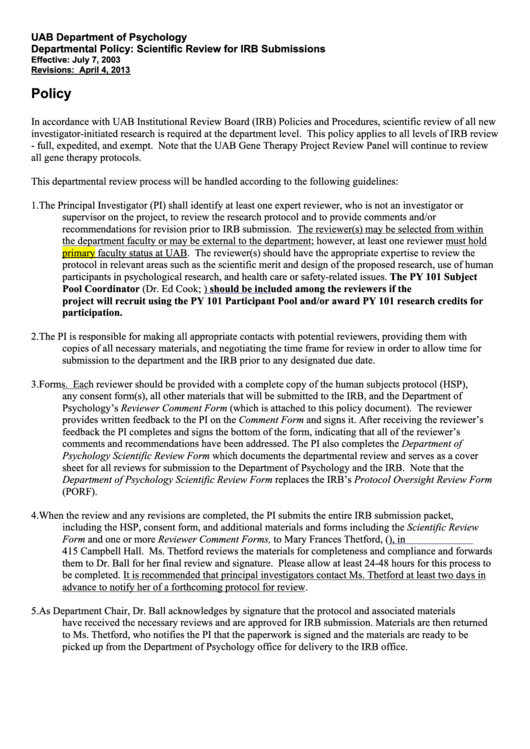 submission to the department and the IRB prior to any designated due date. advance to notify her of a forthcoming protocol for review. picked up from the Department of Psychology office for delivery to the IRB office.